When the world around you falls apart, could it be that God is giving you a second chance? 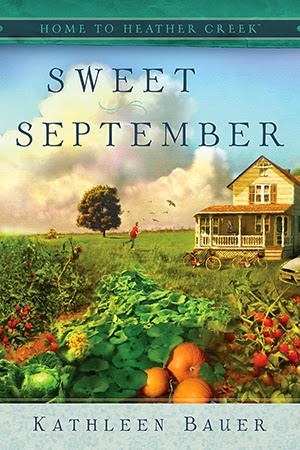 This is just one of the questions on Charlotte Stevenson’s mind as she brings her three grandchildren to live on the family farm in Guidepost Books’ Home to Heather Creek series. The first book in the series begins right after a tragedy. Charlotte's daughter Denise is killed in a tragic accident and her three children are now in the custody of the grandparents they barely know. Ages 16, 14 and 10 the kids are just going through the motions. Charlotte and Bob have to help the kids find a routine on the farm, after life in California. Everything they know has been turned upside down. Charlotte and Bob both have a strong faith, and they fear that faith and that need for order is what sent Denise packing in the first place. They struggle to know how best to start raising these children, and to overcome their own grief. I loved the farm setting. We have raised our own children on a farm for much of their life and it does seem that there an be more healing in doing some of the mundane jobs of a farm, and getting into a different routine than what was know. This was a hard book to not internalize the sadness of the characters. I felt weepy from the beginning for the children and Charlotte. The author did a great job of contrasting the language and activities of the kids versus the grandparents. I haven't read many books where the main character was a grandma, and I enjoyed how I knew she was simply by reading it. Things like offering the kids cookies as soon as they get there! The second in the series is written by Tricia Goyer. The kids are still trying to adjust as are Charlotte and Bob, but they are definitely moving in the right direction. Bob's health starts going down hill some and Uncle Pete tries to help save the farm by coming up with some new planting and seeds for the next harvest. Bob of course doesn't want to relinquish any of his control to his son Pete. Tricia brings in some history as Bob talks about the Dust Bowl and World War II and the times that people sought refuge at Heather Creek. I enjoyed this story with Bob being more of a focus character and works through his own grief at losing Denise and learning to be a caregiver to his grandchildren. I loved the farm scene in the novel. The daily chores with the animals, the canning, the large breakfasts. The book really gives you a feeling of 'home' with the great details of the love shared in this old farmhouse. 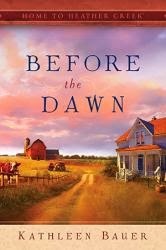 Before the Dawn was written by Carolyne Aarsen. Originally a city girl, Aarsen moved to the countryside near Neerlandia, Alberta, when she married her husband, Richard. While raising four children, foster children and various animals, she learned how to drive tractors, front-end loaders and ATVs. She grew a garden and learned to can and preserve its produce. Somewhere in all this Aarsen learned to write. Since 1997 she has written more than 40 books. Learn more at www.carolyneaarsen.com.